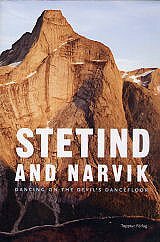 Stetind is Norway's national mountain and this new guide covers the fantastic alpine style rock climbing to be found on its flanks - the guidebook also contains route descriptions for Hamar?y, Efjord, Skjomen and Narvik. The focus is very much on the multi-pitch trad routes in the mountains but it does feature some roadside sport climbing. Illustrated throughout with stunning action shots and superb photo-topos, this would make an ideal climbing destination for anyone looking for an alternative to the Lofoten Islands.